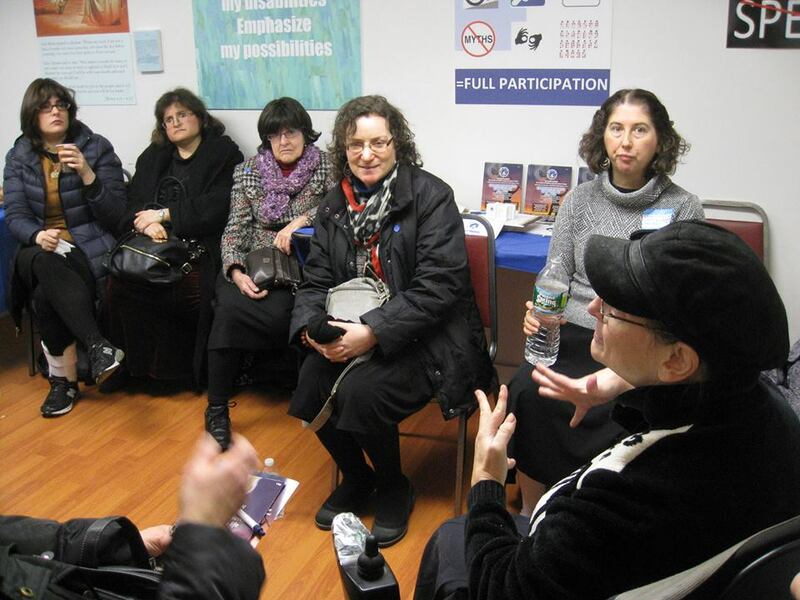 “What a beautiful place” was echoed by over 100 visitors throughout the Chanukat Habayit Open House event. The theme was “See, Hear, or Feel Our Walls Speak”, and, indeed, our walls do speak. Our meeting room is more than just a room in which to meet or host speakers; it’s a gallery of 16 colorful and evocative posters that beckon your response. We will continue to provide guidance, resource information, and advocacy services for callers, email or social media contacts, and visitors while we advocate for access and accommodations for people with disabilities in Jewish communities. People with obvious or hidden disabilities all over the U.S. can always contact Yad HaChazakah at 646-723-3955 or info@yadempowers.org. 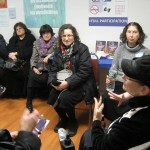 On January 7, 2014, Yad HaChazakah with begin to provide benefits counseling services for people with disabilities at its Midwood Brooklyn office through its collaboration with the Brooklyn Center for Independence of the Disabled. It will be staffed by a benefits adviser who has 15 years experience helping people with disabilities to secure the benefits to which they are entitled. She will at first come the first Tuesday of every month from 10 A.M. – 1 P.M. and she will increase the hours as demand expands. A housing specialist will also visit Yad HaChazakah as needed. Please contact Leah Weinstein at 646-723-3955 or lweinstein@yadempowers.org to schedule an appointment. Explore the world through the perspectives and experiences of people living with different disabilities or ongoing conditions. We will look at the physical, communication, and attitudinal barriers that people with disabilities face every day. We will also look at the ways many of us approach life with humor and creativity. Most programs will take place in our Brooklyn office meeting room. That said, we will continue to ‘take the show on the road’ and deliver presentations at shuls; yeshivas and day schools; and special events. Gather together to share tips for effective job search and interview techniques as well as information about possible job openings. Occasionally, speakers, including employers and specialists in vocational training and job placement, will be invited to speak to the group. Most activities will take place at our Brooklyn location and occasionally at our locations in Manhattan. Furthermore, we will reach out to people throughout the U.S. through webinars and video conferencing as our resources and capacities expand. . Please click here to let us know how you would like to become involved with Yad HaChazakah! You may also reply below in the comment section. If you elect to join our email list, you will receive program schedules and updates.